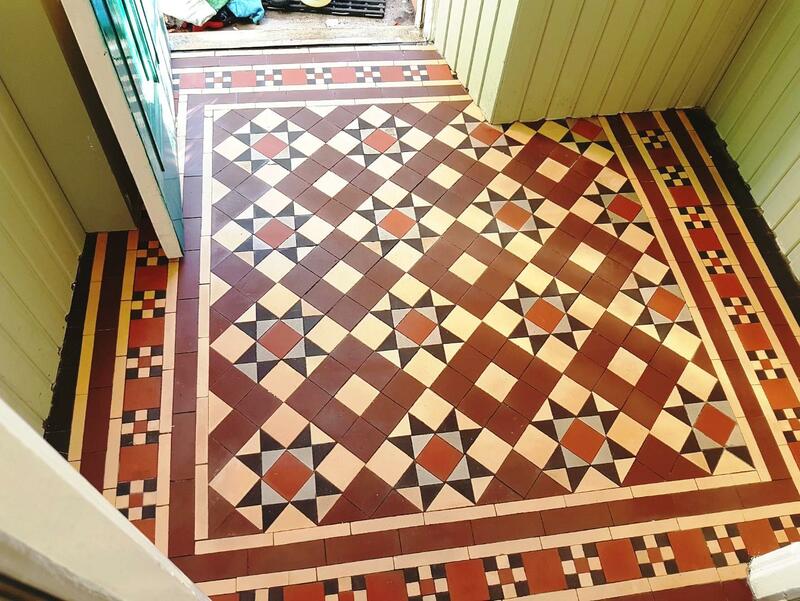 If you visit Victorian era houses throughout the UK, you will find that many them have colourful tiled entranceways (also sometimes known as vestibules). The tiles are commonly made from encaustic cement, stylised with distinct geometric patterns that really help to add character to the property. The reign of Queen Victoria was a prosperous and confident time for Scotland – and many new houses and buildings were built in the well-known ‘Victorian’ style during the period. One of the best-known buildings to be built was Balmoral Castle, which is still in use by the Royal Family as a holiday home. 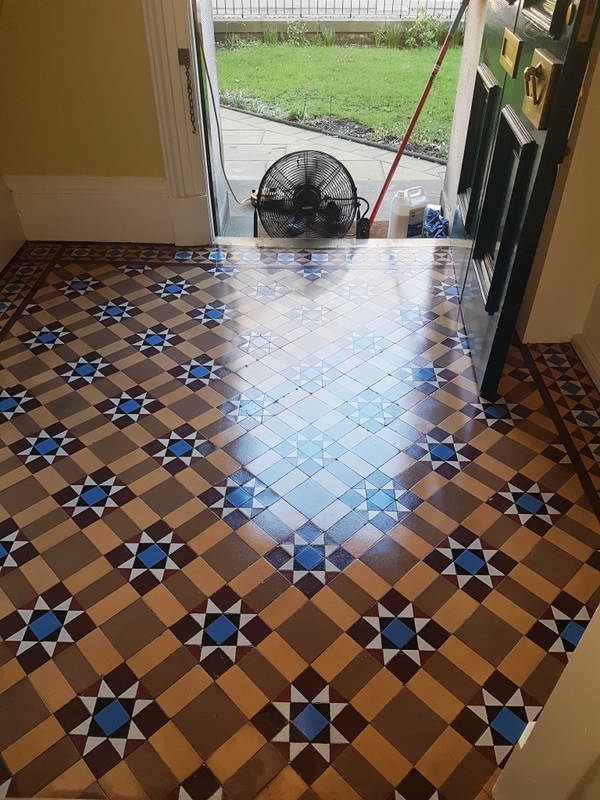 Homeowners who are fortunate enough to be in possession of original Victorian tiles will find that they are not easy to keep clean without the right products and methods. 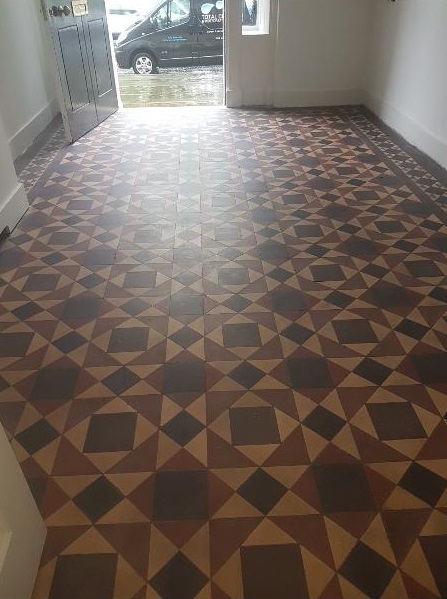 The entrance to any house of course is subject to high amounts of foot traffic, which means the tiles can become dirt and discoloured very quickly indeed. 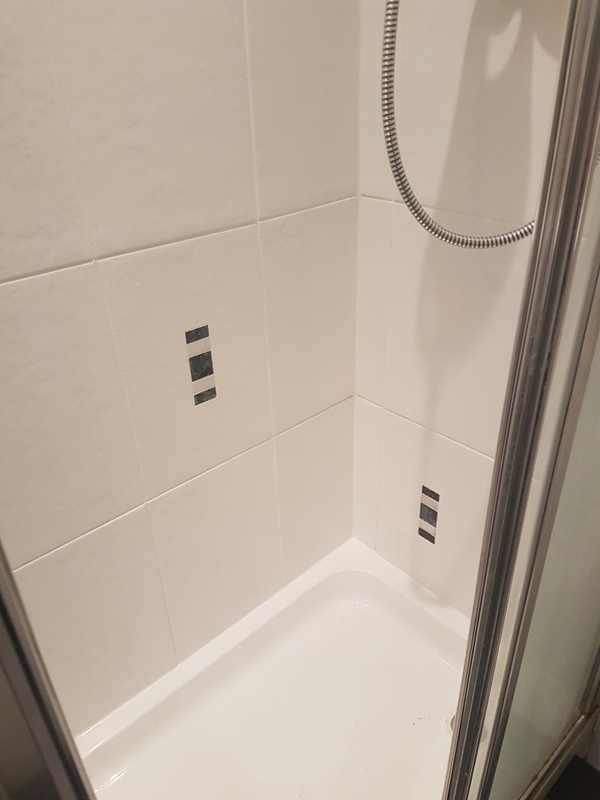 Here is an example that we cleaned and sealed recently in Edinburgh, although in good physical condition for its age the sealer on the floor had worn off and dirt had become ingrained in the tile reducing its overall appearance. 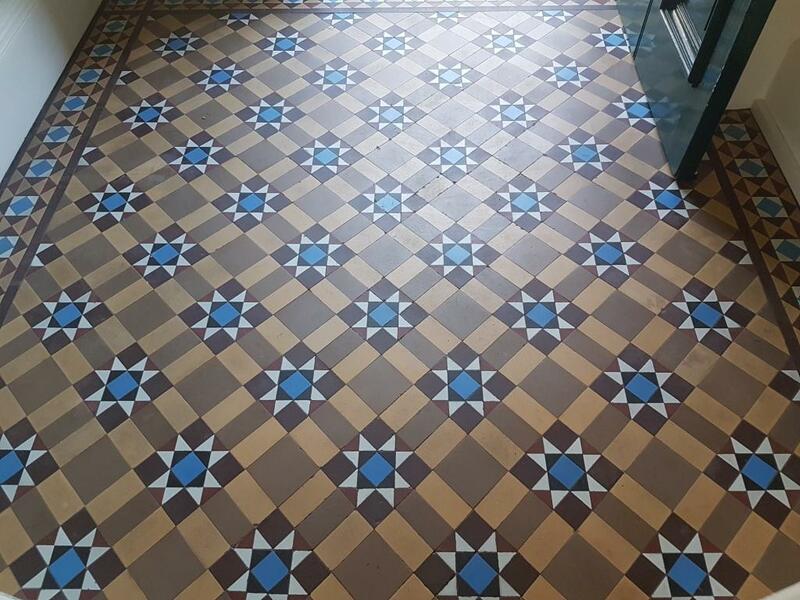 Having restored hundreds of Victorian tiled floors in the past, Tile Doctor has developed tried and tested methods for cleaning all types of tiled floors so tackling this small floor would not be a problem. To begin, we gave the floor a deep clean to break down any old sealants and to cut through thick layers of dirt and grime. The cleaning solution we employed consisted of two products: Tile Doctor Pro Clean (which is a strong alkaline cleaner) and Tile Doctor Remove and Go (which is a stripping agent formulated for the removal of old sealants, synthetic coatings, glues, and paints). The solution is applied and left to soak into the tile for ten to twenty minutes before being scrubbed in, which for a small area such as this needs to be done by hand. The soiled solution is then rinsed off with water and this is then extracted using a wet vacuum. This deep cleaning process was repeated several times to make sure the tiles were as clean as possible. Once we were happy that all the dirt and grime had been removed, we gave the floor a quick acid wash using Tile Doctor Grout Clean-Up to remove any old grout smears and to neutralise any potential salt efflorescence issues. The floor was then given a final rinse before leaving it to dry off fully overnight and a turbo air mover was left running to help speed up the process and ensure the floor was completely dry to be sealed the following day. 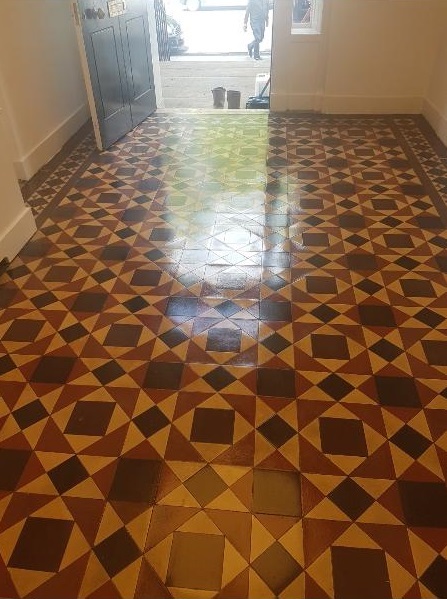 We are very conscious of the fact that many of these old Victorian tiled floors to have damp-proof membranes installed beneath them, so we wanted to guarantee there would be no damp issues that would prevent us from applying a fresh sealant. This is because even a small amount of excess moisture can potentially damage the performance of the sealant. Returning to the property on the second day, we proceed to seal the tiles with three coats of Tile Doctor Colour Grow. This sealant soaks into the pores of the tile protecting it from within and providing long term protection, it also enhances the colours in the tile in the process. The difference made by this two-day restoration is shown below. It is quite amazing how quickly these results can be achieved considering the age and previous condition of the tiles. Our customer was absolutely thrilled. Edinburgh became an increasingly important city in the UK during the Victorian period. Although overtaken by Glasgow as Scotland’s largest city in the early 19th century, Edinburgh experienced expansion and industrialisation, and many areas which had been populated by Georgian architecture were rebuilt with Victorian buildings. Of course, this included many Victorian residential properties, many of which are still inhabited, and still have original Victorian tiled flooring. 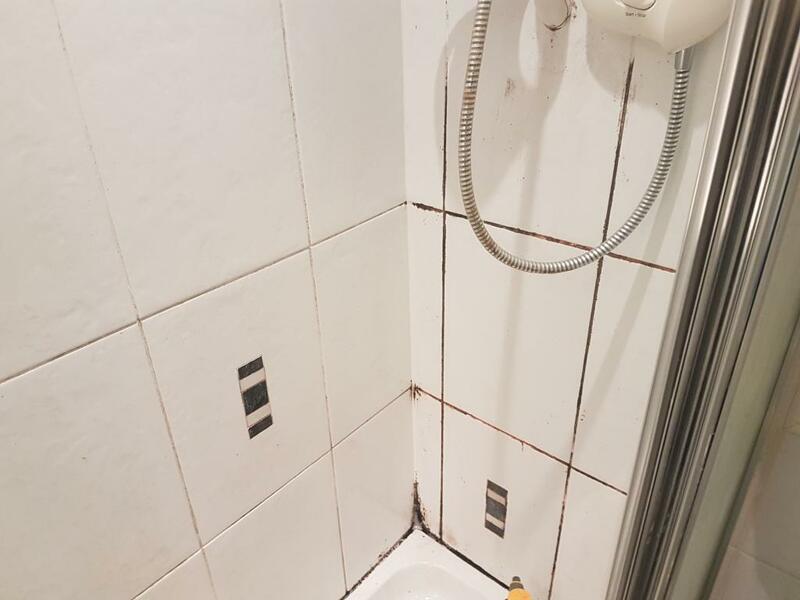 A lot of property owners choose to keep the original tiles rather than strip them out, and we specialise in restoring and maintaining them. I recently visited a property in Edinburgh to provide a deep clean and fresh seal for some Victorian porch tiles that were looking a bit worse for wear. The job was carried out over the space of two days. On the first day of work, I arrived at the property and immediately began by stripping the floor of any old sealant. Sealers don’t last forever and are worn away over time requiring them to be routinely topped up with a fresh application, however in this case the sealer had worn off completely in most places allowing dirt to become ingrained in the pores of the tile, so the only course of action would be to strip off what was left, clean the floor and reseal. 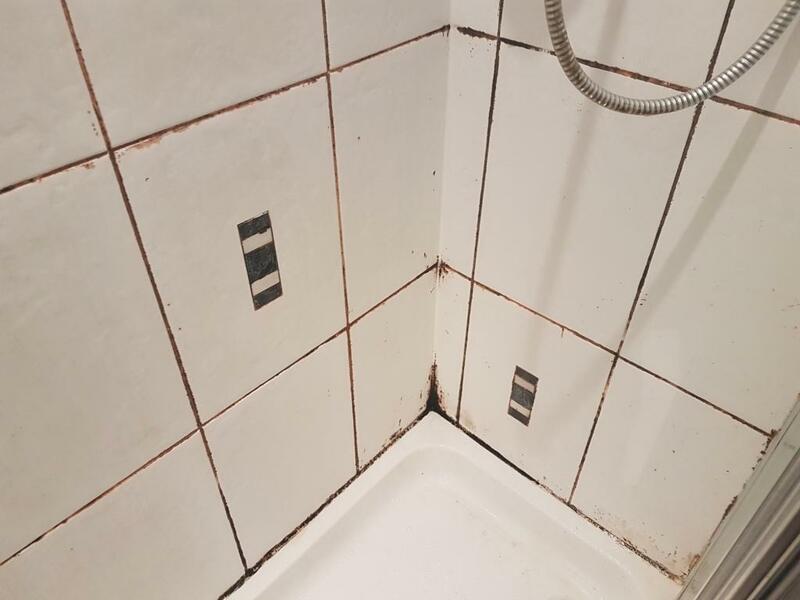 The old sealant was removed using a strong solution of our natural stone cleaner and stripper, known as Tile Doctor Pro-Clean, and our heavy-duty sealer and coating remover, known as Tile Doctor Remove and Go. This combination of products was applied and scrubbed into the stone using a black buffing pad fitted to a rotary machine. The floor was then rinsed to remove any excess chemical residue and the moisture was soaked up. Next, the floor was then burnished using a coarse diamond-encrusted burnishing pad to grind off tough stains and rinsed again with fresh water. Tile Doctor Neutral Tile Cleaner, which is an excellent pH-neutral cleaner for routine maintenance, was then used to complete the cleaning process and the tiles were left to dry completely overnight. On the second day of work, the tiles had dried off nicely overnight and I was able to return to the property to seal the tiles using five coats of Tile Doctor Seal and Go. This is a topical sealer which provides a high-quality low-sheen finish and protection against ingrained dirt and stains. In this case, the customer had opted for a sheen finish as opposed to a natural-look, matte finish. 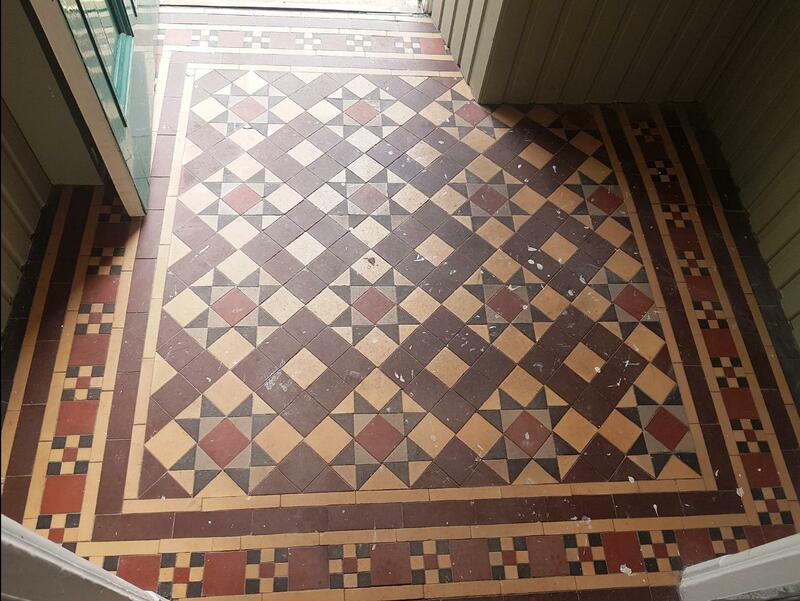 Comparing the before and after photos, it’s clear how significant a difference routine maintenance can make to the appearance and condition of these original Victorian tiles. The customer was very pleased with the outcome and I recommended the use of our Neutral Tile Cleaner for frequent cleaning in the future. Being PH neutral it won’t prematurely erode the sealer like many acidic supermarket products.